Bkool are a Spanish company who have a reputation for innovation. They make great turbo trainers. 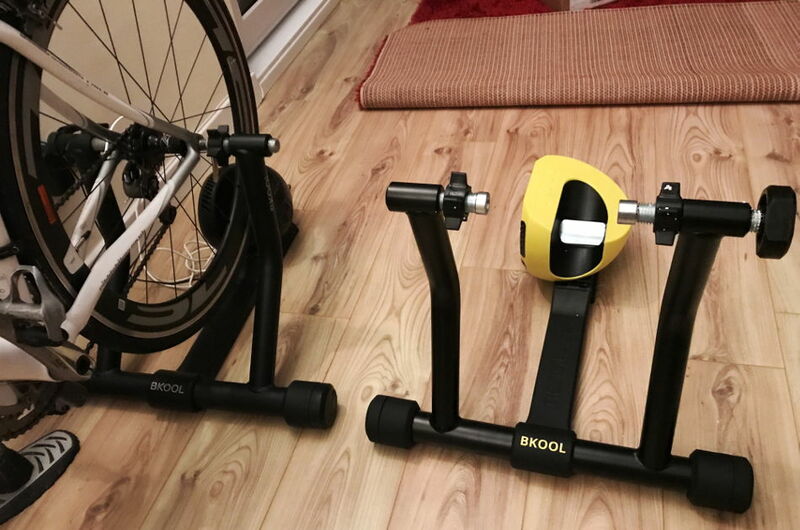 We are delighted to have good working relationship with Bkool, which means we get to try out their latest turbo trainers so we can pass on an honest review to you and our other readers. To ensure that we do give you an honest and reliable review we often pass the turbo trainers on to REAL people (just like you) to test. This is exactly what we did with the Bkool Smart Pro 2 trainer. 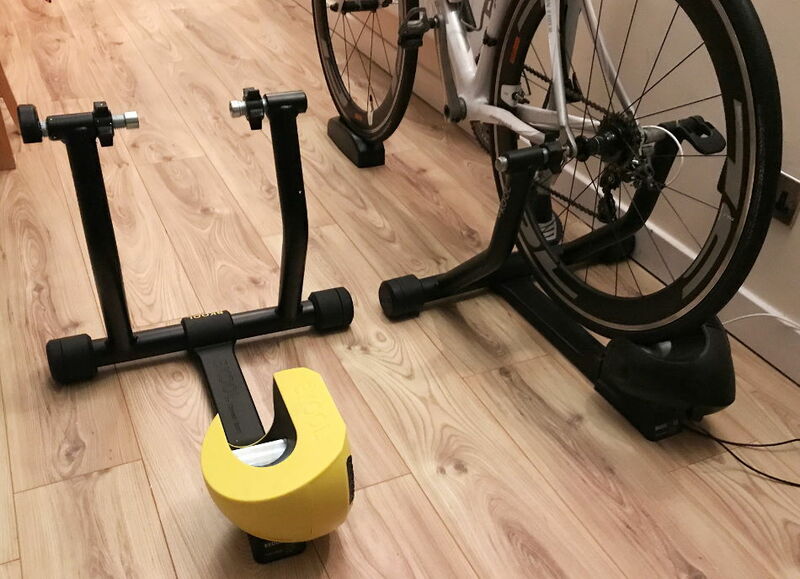 Matt Dass (TBT reader & newsletter subscriber) has used the original Bkool Pro Smart trainer (model 1) for a long time, in fact he wrote up a little piece on it while he was training for a triathlon. So, it made sense for him to test out the new and improved Pro trainer. He tested it over a 2 week period and all views about the trainer are based off his experience. 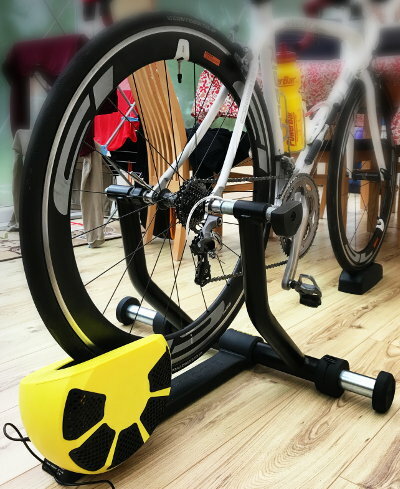 While a sturdy turbo trainer it is significantly lighter than others out there, such as the Wahoo Kickr for example (read about the Wahoo Kickr here). It’s also less than 1/2 the price, which is something to take notice of. 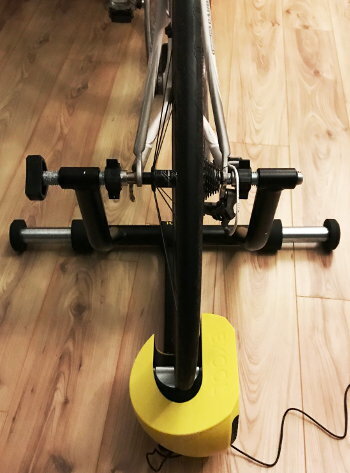 The Bkool Smart Trainer comes in a two main sections, the resistance unit and the frame/wheel attachment section. There are also two threaded spindle attachment posts, a replacement spindle, a power supply, a USB ANT+ (to help connect the trainer to a laptop or computer), and a front wheel support (it’s great that this is included as standard). There is an instructions guide included in the box, but Matt (like a lot of men some may say) didn’t look at them. Because Matt uses the original Bkool Pro he did not need to use the included spindle, front wheel support, or USB ANT+, but of course you can use these if you need to. The two main sections fit together easily, just connect them together. The Bkool Smart Pro 2 can reach up to 1,200 Watts, which is right up there with some of the very best indoor trainers. This represents a 20% gradient when cycling on the trainer software. Trust me this is steep and if you can maintain this gradient for even a few minutes you are doing very well indeed. When you’re pushing yourself on your turbo trainer and apply some serious force on your pedals you need your trainer to be secure. The Bkool Pro 2 (like its predecessor) has Telescopic legs that when extended offer fantastic stability. The advantage of having legs that can be pushed away is that the trainer can be stored and transported much easier. Turbo trainer noise is a real issue and something a lot of riders complain about. The Bkool Pro 2 is quiet. It has a noise level of 68 dB when riding at 35 KPH, which when compared to most trainers very quiet. To put this into context a standard conversation has a 40 to 80 dB range. Realism is what all indoor cycling companies are striving for. They want to make riding indoors as comparable to riding outdoors as possible. 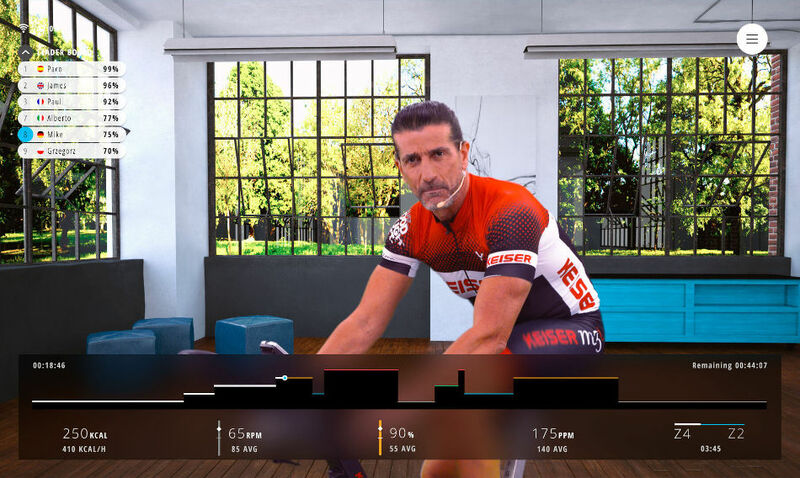 While it can never be exactly the same there are ways to make indoor cycling more realistic. Simulating inertia is one major way to do this. 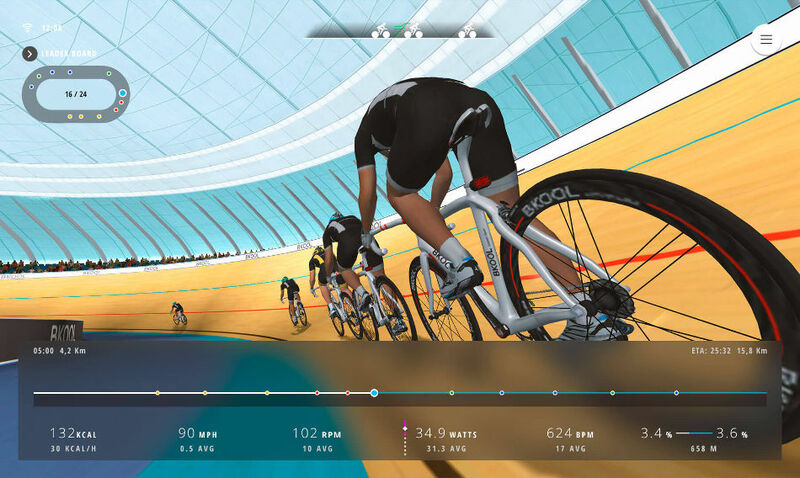 The Bkool Pro 2 uses smart adjustments on gradients to make cycling that much more realistic. The Bkool trainers are the only ones to simulate inertia (this is a Bkool statement). 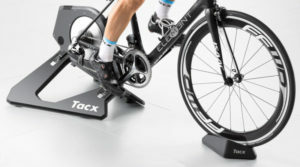 To be fair a lot of the top-end turbo trainers use wireless technology to allow your turbo trainer to hook up with a laptop or smart device (tablet, phone etc.). They Bkool has improved its communication to all for much more reliable connectivity, using ANT+ (USB included with the trainer) and Bluetooth. Turbo trainers get heavy, and while this may not be a major issue if you have lots of room and can leave your trainer out all of the time, it can become an issue when you need to move the trainer or take it with you in the car etc. The Bkool Smart Pro is very compact and pretty light-weight. It’s not as light as a feather because it still needs to be robust enough for you to thrash, but compared to a lot of other top-end trainers it is very light-weight. It weight just 11.6KG. Compare this to the Wahoo Kickr 2, which weights 21KG, the Bkool is almost 1/2 the weight. The Bkools retractable stability legs and folding design mean it is very easy to transport. 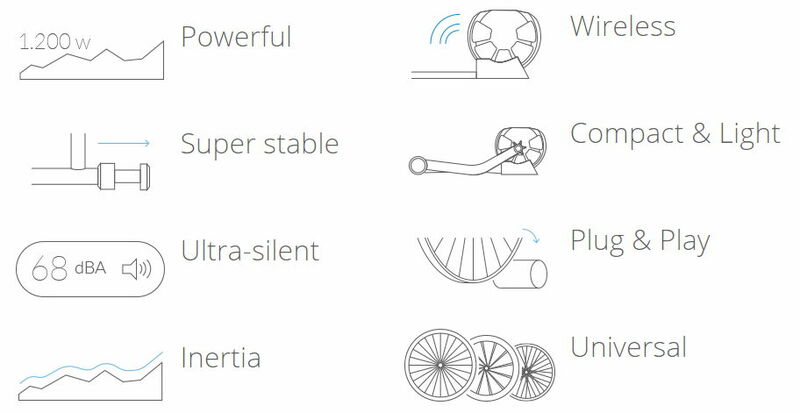 Because the Bkool Smart Pro uses the clever movable wheel attachment arms there is no need to calibrate and adjust the pressure of the resistance roller against your bike wheel. Most other standard (i.e. non-direct drive) trainers need you to manually adjust contact pressure of the resistance roller and your wheel. Basically the Bkool trainer fits most bike wheels from small 20″ to large 29″. The photos below show the new and original Bkool Smart Pro trainers. Visually they look similar, apart from the fantastic modern yellow of course. Matt thought the new Bkool Pro 2 was excellent. He was (is) a fan of the original Pro and because the new Smart Pro 2 has improved on this he was always going to be happy. but there was one major improvement that was noticeable when riding on the Bkool Simulator Software. Basically the whole trainer has had an update. The new yellow design is cool and different from other trainers out there and reflects the brands image of being focused on both quality and deign. Matt used the Bkool trainer with the 2D maps mainly when riding with the Bkool Simulator software. 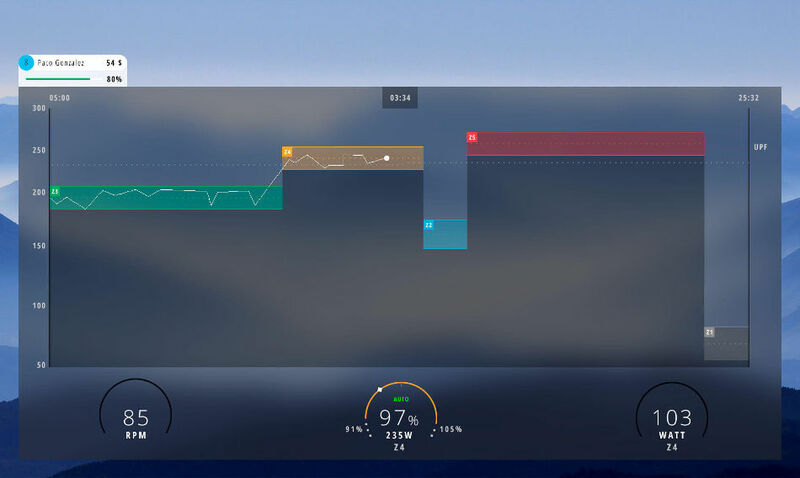 Because he has definite goals when it comes to cycling indoors he is more concerned with completing distances rather than taking part in online races or riding through amazing looking 3D environments. He likes to track routes completed, distances covered and does like seeing how he compares with other riders on the same routes. However, when talking about Bkool we should mention the software because it is fantastic. Below are a few screenshots of the software in action, but head over to the official Bkool website to see more. Finally here’s a promotional video from Bkool that shows off the Smart Pro 2 in action. For price, design, and performance you will be hard pushed to find a better Smart turbo trainer than the Bkool Smart Pro 2. The original Smart Pro has been updated with better technology to make riding indoors that much more realistic and enjoyable. Matt, who used the updated Smart Pro 2 loved it (he also used the original Smart Pro a lot too). 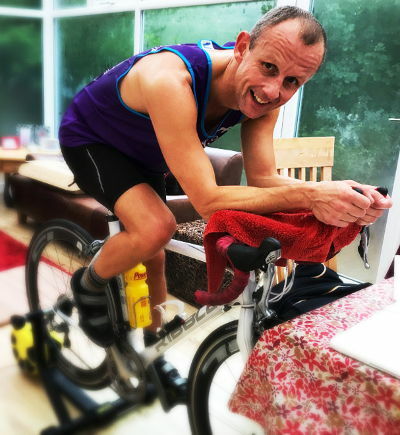 He definitely noticed the updated tech (smoother gradient changes mainly) and would recommend it to anyone who wants to keep working out on their bike indoors while the dark nights and nasty weather puts you off riding outside. If you want to learn more or buy the Bkool Smart Pro 2 turbo trainer then head over to the official Bkool website, or alternatively major online cycling stores such as Wiggle also stock it.